The Neumann Year will close with a special Mass on Saturday, June 23, 2012, at 2 p.m. at the Cathedral Basilica of Sts. Peter and Paul in Philadelphia. Archbishop Charles J. Chaput is scheduled to be the main celebrant. Archbishop Joseph W. Tobin, a Redemptorist and the secretary of the Vatican Congregation for Institutes of Consecrated Life and Societies of Apostolic Life, is scheduled to be the homilist. Several other bishops from dioceses where Neumann served are also expected to participate. A ticketed reception will immediately follow at the Sheraton Philadelphia Downtown. 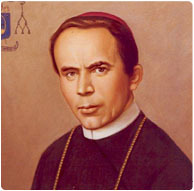 Since January 2011, the Redemptorists have celebrated the life and legacy of our saintly confrere with several special events including Neumann-themed parish missions, two nationwide essay contests for Catholic school students, Forty Hours Eucharistic devotions, and several special Masses in Philadelphia and elsewhere. The Year also included a traveling relic of the saint that visited several locations including Old St. Patrick’s Cathedral in New York City; the Basilica of the National Shrine of the Immaculate Conception in Washington, D.C.; St. Alphonsus Church in Baltimore, MD; Buffalo, NY; the Diocese of Trenton, NJ; and several parishes in Pennsylvania.